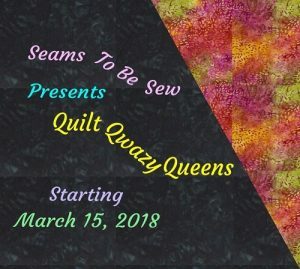 Let's talk about Quilt Backings on today's Tips, Tricks, and Tuts Tuesday. 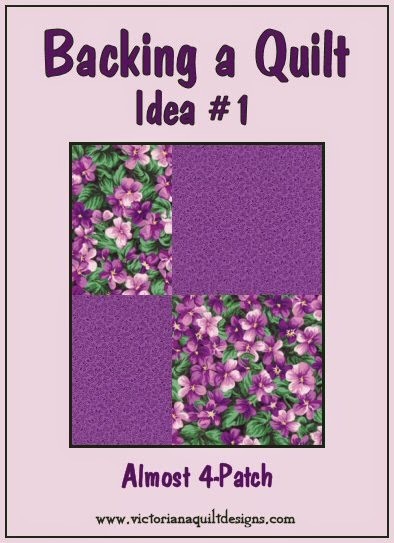 What do you do for your quilt backings? I used to be a strict, rigid, matchy, matchy quilt backing person. I would buy matching yardage for the back to match the front. 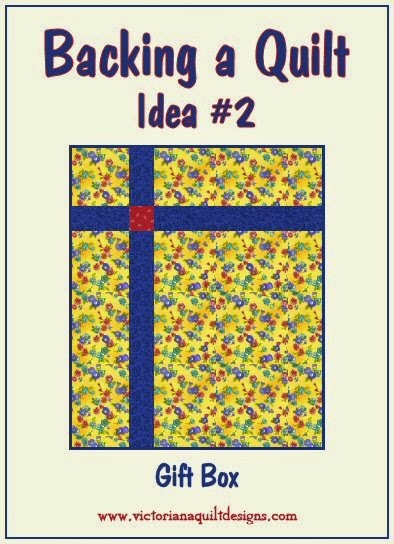 While that is perfectly okay and I still do that sometimes, there are other options for quilt backings. My latest favorite is pieced backings. 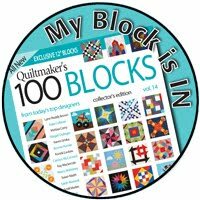 There are a whole host of options and ways to piece a quilt backing but I'll show you a few that Victoriana Quilt Designs posted on Pinterest. 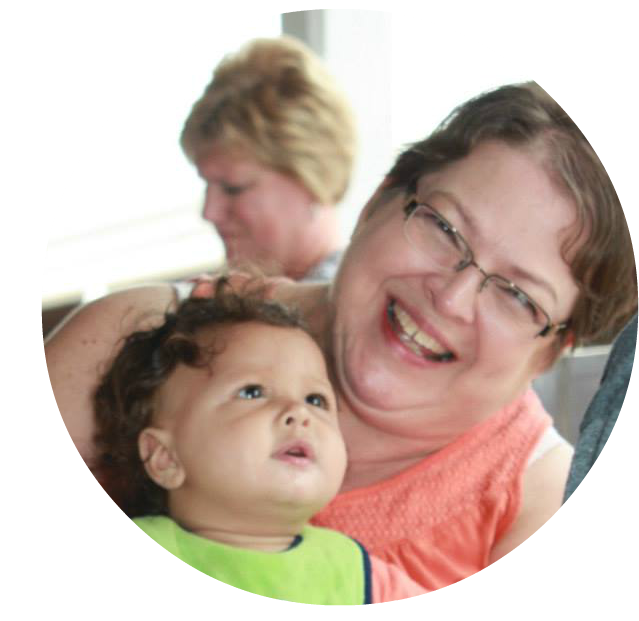 There is no need to re-invent the wheel and she gave permission to share on blogs as long as its linked back to her. 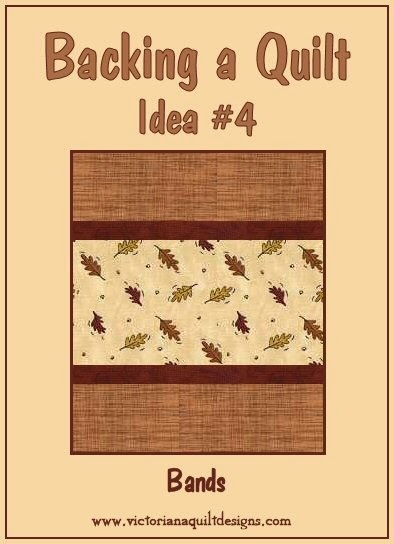 Backing #1 is just simply leftover fabrics in a 4 patch. They don't have to be the same size. If I'm guessing I might say the four patches were the same size but after quilting, the quilt wasn't centered so therefore you get this look. And speaking of centering a quilt top on a backing... 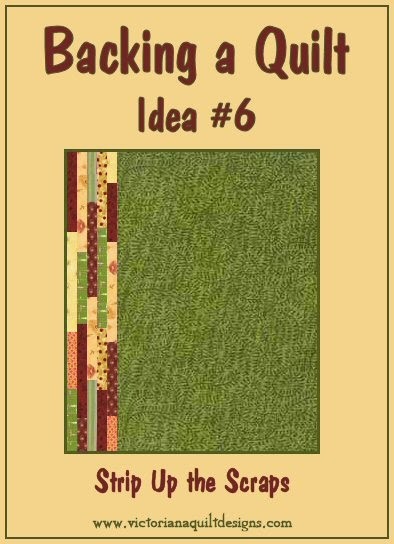 It is almost impossible for a longarm-er to center a quilt top to a backing. Different patterns "shrink at different rates therefore making it difficult to center a top to a backing. A good longarm-er can get close though. I've used this method lots of times. Backing #2 is a neat way to add just a little bit to the length and width without just adding a strip to the top and side. I like it. I haven't used this one yet but no doubt I will one day. 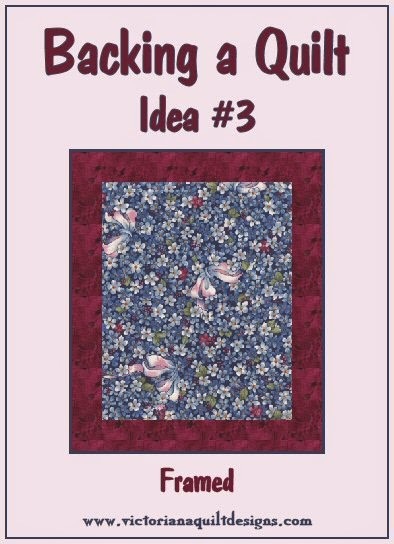 Backing #3 is not a favorite of mine because it requires some centering of the quilt top to the backing. Remember what I said about that. It makes it challenging for a longarm-er. Backing #4 is another one I've used a lot of times. A width of fabric down the middle and then split the outer fabric needed in half. Adding the strips just gives it some variety. Backing #5 is another good one to use up the scraps. It requires a little more time to piece the strip. 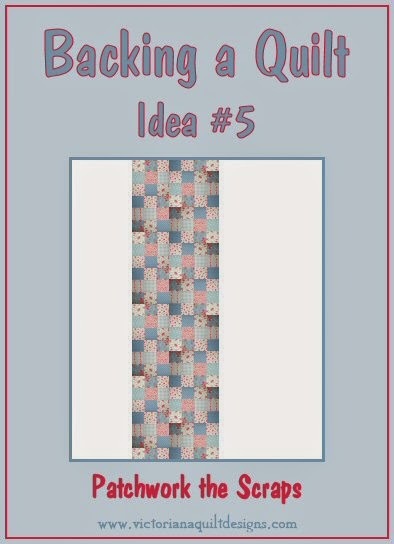 Another variation is to make a few of the quilt blocks that are on the front and piece them together in a strip. Backing #6 is another variation of using up the scraps. I've done this a few times also. I usually just cut 2 1/2" or 3 1/2" strips and piece them end to end. Sometimes I vary it a little by making a row of 2 1/2" ones and then a row of 3 1/2" ones; alternating back and forth. One of my all time favorites is wide back quilt backings. They are quick and easy! The hardest thing about a wide back is getting it square since it's wider than your 24" ruler. You can read about it here on how I square my wide backings. Another tip about wide backing or pieced ones for that matter is this. If the backing fabric feels stiff, beware! Unless you like a hard scratchy quilt. Buy a small amount and take it home and pre-wash it to see if it softens up. Sometimes they will and sometimes they won't. Ask me how I know that! I bought a piece of wide backing thinking the stiffness would wash out. It DIDN'T!!! And no one likes to use the quilt because it's hard and scratchy. Ugh! One last time on backings. 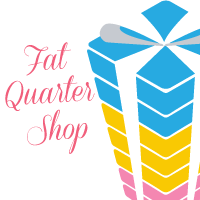 If you're taking it to a longarm quilter, make sure your backing is AT LEAST 6" - 8" wider (more if you have it) and longer than the quilt top. 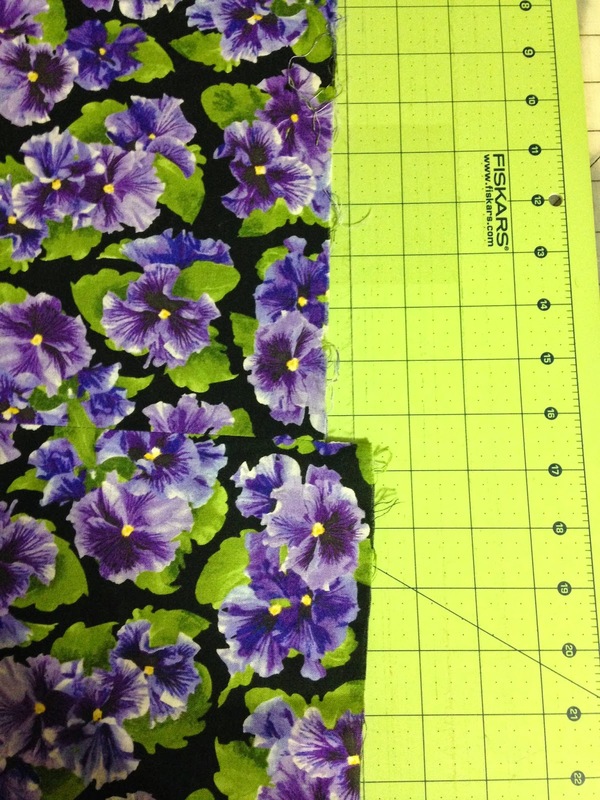 You cannot expect great results from the longarm quilter if the backing is too short. 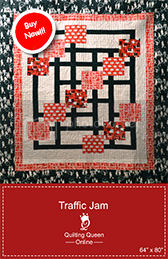 It's necessary to clamp on to to stabilize the quilt to quilt it. It also needs to be square. If you piece backings together, the edges must be even. Even if you're just sewing two strips together. When you get to the end and have uneven edges, trim them so they are square. If it looks like this, it isn't square. So there you have it. 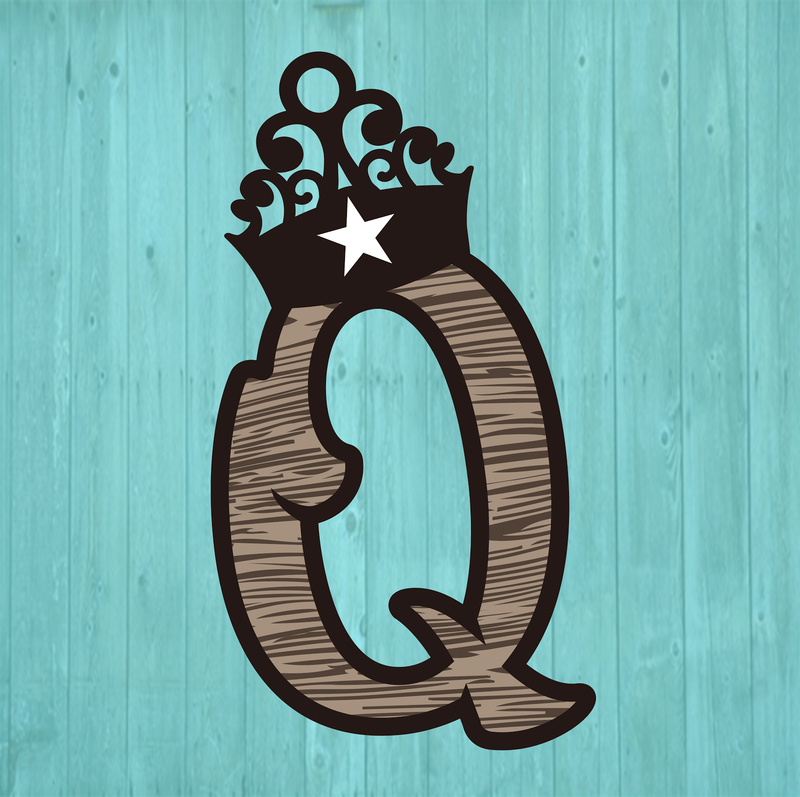 Get creative and use up your scraps or bust your stash on your backings from Tips, Tricks, and Tuts Tuesday-Quilt Backings. I love it when my customers don't do a lot of piecing on the back, but when they have to, I prefer #2. It's soooooo much harder to work with a framed piece like # 3. Almost impossible to keep it centered within the frame.... Adding a strip off-center is a good way to go. Fun to be creative!